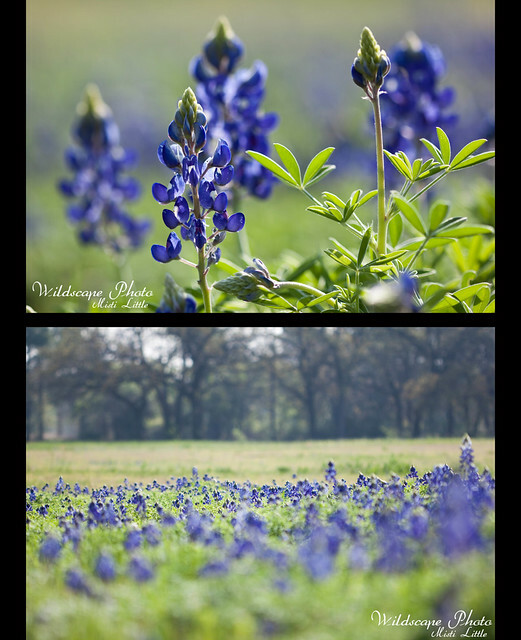 Texas bluebonnets are the ubiquitous sign that spring has sprung in Texas. Well, there area few other signs, but when you are driving down the highway and see the flowers blooming, you know it’s time to start digging in the dirt and pulling out the shorts—maybe! 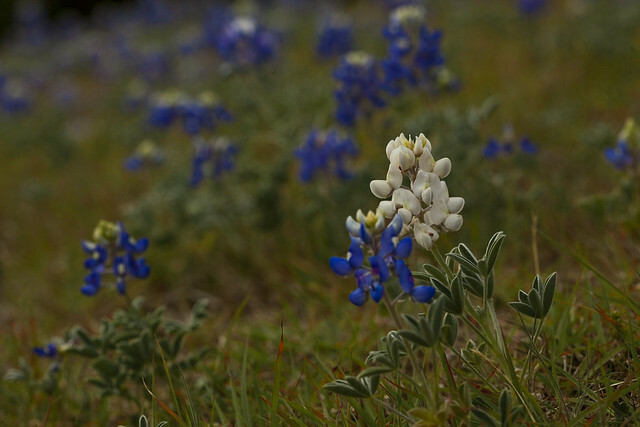 The bluebonnet is one of five state flowers. That is, all five lupine species are considered the state flower! Texas bluebonnet story. A few years ago I grew some in a container in Florida. They did pretty good for the climate and some day I’d love to grow them again. Of course there are the beautiful fields of flowers that everyone sits in to get their photos taken…. 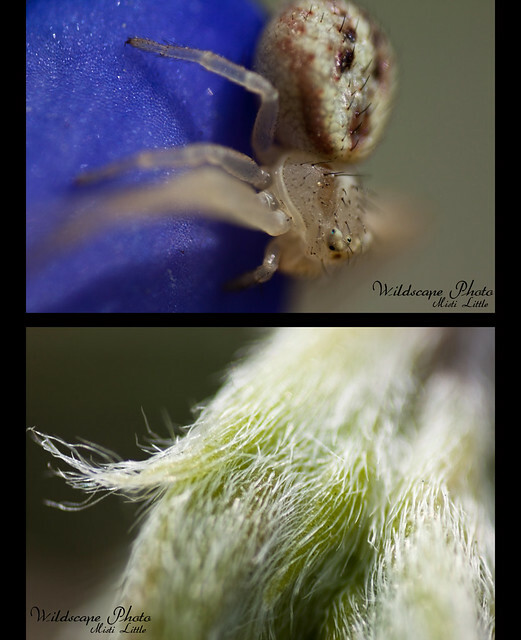 But then you’ve gotta get down into the flowers and see what’s crawling on them like this little Misumenops celer spider! 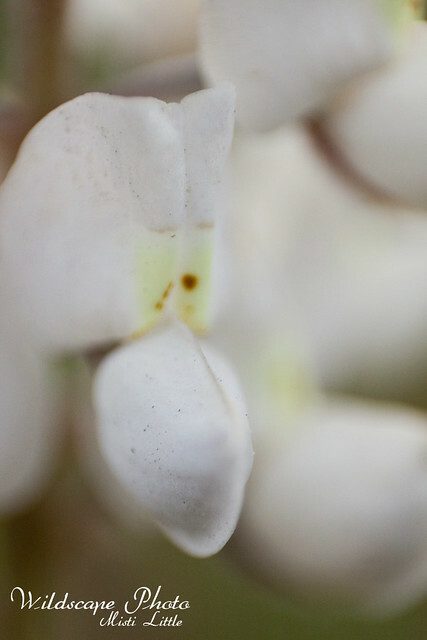 Or maybe to see the hairy seed pods that the flower produces. 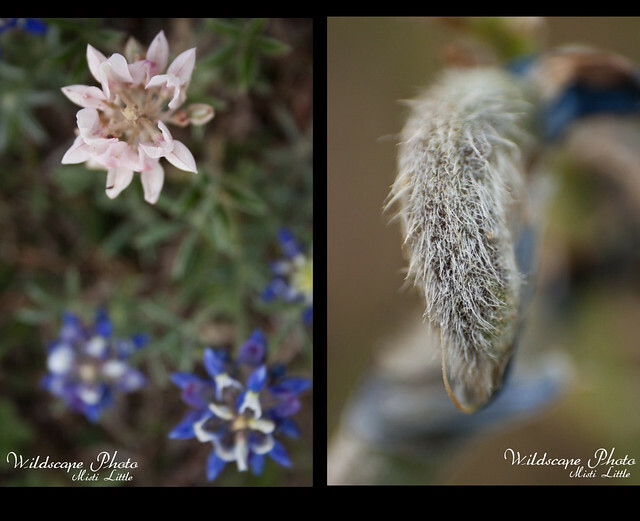 The bluebonnet is part of the Fabaceae family, the bean family of plants. 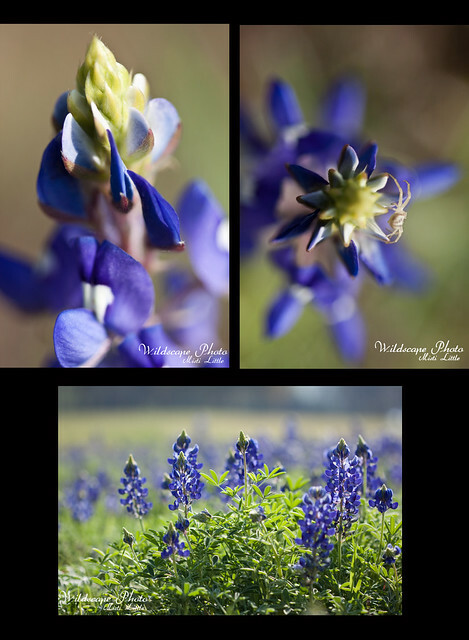 And then on rare occasion you will find an alba variety of the bluebonnet like this lone one in a sea of violet-blue. 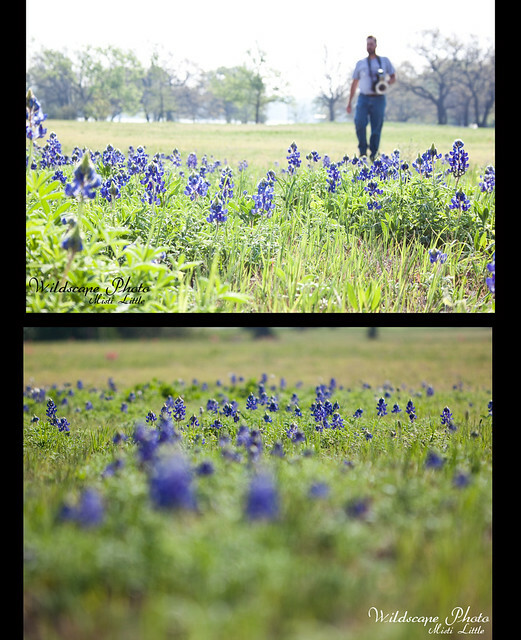 –The Real Story of the maroon bluebonnet: definitely one for Aggies! Just Beautiful!! 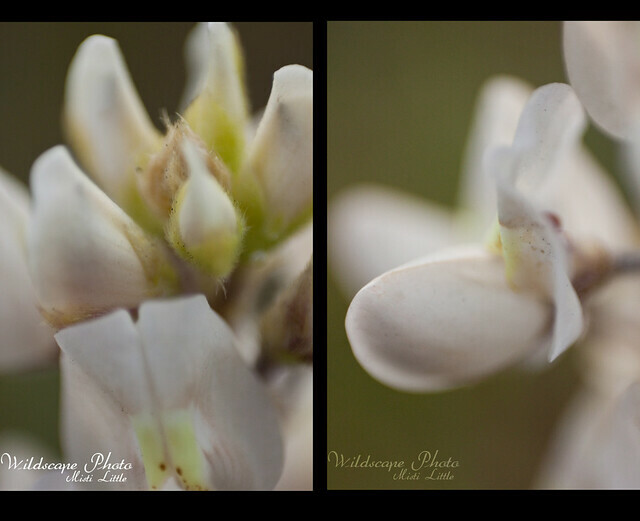 We are just starting to see our very first wildflowers around here, and I simply can not wait for more! I am visiting friends right now, but I look forward to getting back home and taking all kinds of lovely photos! 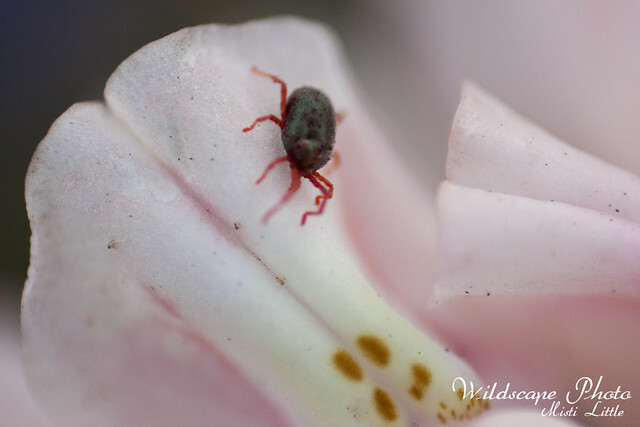 Thank you for sharing your spring with us!